The Best Auto blogs from thousands of top Auto blogs in our index using search and social metrics. Data will be refreshed once a week. You may also like Car Podcasts or Formula 1 blog or Car Youtube Channels list for Top videos on Car. Auto newsletter is a comprehensive summary of the day's most important blog posts and news articles from the best Auto websites on the web, and delivered to your email inbox each morning. To subscribe, simply provide us with your email address. About Blog Motor Trend Magazine, the world’s automotive authority. Covers more cars, trucks & SUVs than any other magazine. Provides extensive automobile buying guide for consumers. The official Motor Trend magazine web site featuring the latest new cars, car reviews and news, concept cars and auto show coverage, awards, and much more. Facebook fans 3,106,991. Twitter followers 700,233. United States About Blog Get up-to-the-minute automotive news along with reviews, podcasts, high-quality photography and commentary about automobiles and the auto industry. Facebook fans 1,513,043. Twitter followers 345,672. Chicago About Blog BMWBLOG delivers news to millions of people from around the world, creating one of the largest communities of BMW drivers. Follow this blog and get the Ultimate BMW News, Reviews, Test Drives and Videos. Facebook fans 3,069,099. Twitter followers 76,507. About Blog Motor Authority's readership consists of driving enthusiasts, industry members and in-market consumers, all of whom are searching for the very latest and most reliable information to make informed decisions on the luxury and performance cars they follow and drive. Facebook fans 2,529,573. Twitter followers 13,628. L.A. and Detroit About Blog Automobile Magazine, America's leading automotive lifestyle publication. Automobile offers a rich and varied examination of automobiles, automotive culture and design, and the personalities that shape the industry to inform and entertain consumers who are passionate about cars. Facebook fans 1,128,815. Twitter followers 196,870. Facebook fans 407,547. Twitter followers 101,051. Facebook fans 362,276. Twitter followers 27,838. Facebook fans 733,480. Twitter followers 12,130. About Blog ClassicCars.com is the world's largest marketplace devoted to classic and collector vehicles. Facebook fans 253,852. Twitter followers 35,524. NYC About Blog BIMMERPOST is the hub for the world's BMW community. Right now, BIMMERPOST is the fastest growing BMW forum and we offer the latest BMW News on our blog, usually before anyone else. Follow this blog to get the most latest resources from the BMW Community. Facebook fans 680,695. Twitter followers 27,434. About Blog Car advice, tips, troubleshooting, and answers to your car questions. Find a mechanic, hear past shows, play the puzzler, join our discussion boards, and learn safe driving tips. Facebook fans 611,093. Twitter followers 45,862. About Blog Green Car Reports is the place car shoppers turn to for help deciphering the world of "green" cars, reporting on which ones benefit the Earth, and which don't do as well. Green Car Reports drives and reviews all green cars, offers advice and tips to consumers on going green, and keeps green-car enthusiasts in touch with the latest news and information they need to make an informed buying decision. Facebook fans 353,529. Twitter followers 22,932. About Blog Speedhunters is an international collective of photographers, writers & drivers with a shared passion for digging up the most exciting stories surrounding Car Culture happening anywhere in the world. Facebook fans 627,045. Twitter followers 839,670. About Blog India's #1 auto site for car news, reviews, launches, bike news. Only site for owners, stories on car lifestyle, modifications, and car videos made for watching. Facebook fans 3,435,988. Twitter followers 918. About Blog Cars.com is a leading online destination that helps car shoppers and owners navigate every turn of car ownership. A pioneer in automotive classifieds, the company has evolved into one of the largest digital automotive platforms, connecting consumers with local dealers across the country anytime, anywhere. Facebook fans 452,272. Twitter followers 115,092. About Blog The CarGurus Blog provides daily coverage of the automotive world, including upcoming cars, industry news, car politics, fun lists, and more. Facebook fans 221,606. Twitter followers 7,630. About Blog Motor1.com targets new and used car buyers as well as car enthusiasts. We focus on all automotive content: cars, sportscars, supercars, sedans, SUVs, motorcycles, auto shows and more. And we do this all while delivering the latest news, car reviews, buying guides, pricing, and premium video production in 14 editions in 10 different languages. Facebook fans 536,402. Twitter followers 5,032. Australia About Blog CarAdvice is your go-to site for independent and expert reviews, news and video reviews on new cars. CarAdvice brings you a variety of articles on the latest reviews, road tests, comparisons, news and opinions. Facebook fans 791,070. Twitter followers 9,666. About Blog Europe's largest online motoring community. Featuring the latest news and reviews, active discussion forums and over 150,000 classified motoring ads! Facebook fans 151,859. Twitter followers 97,940. Florida About Blog Automotive news on exotic, luxury and classic cars, and the lifestyle they create. Facebook fans 95,181. Twitter followers 21,176. About Blog Car Design website for designers, engineers, students and enthusiasts. Facebook fans 285,555. Twitter followers 7,918. About Blog BangShift.com is the Car Junkie Daily Magazine, featuring news, videos, car features, and community in the world of muscle cars and hot rods. It's run by Brian Lohnes and Chad Reynolds. Facebook fans 350,479. Twitter followers 15,313. Nebraska, USA About Blog Elevated Garage is a site dedicated to car enthusiasts, the global automotive industry and lifestyle guide. We are focused on bringing exciting news from local events, International Auto Shows and everything in between. Facebook fans 19,904. Twitter followers 10. #BarrettJackson About Blog Specializing in providing products and services to collector car owners, astute collectors and automotive enthusiasts worldwide. Barrett-Jackson produces “The World’s Greatest Collector and Classic Car Auctions™” in Scottsdale, Palm Beach, Northeast, and Las Vegas. Facebook fans 367,388. Twitter followers 78,435. About Blog Old Cars Weekly covers the entire field of collectible automobiles -- from the classic touring cars and roadsters of the early 1900s, to the popular muscle cars of the 1960s and '70s. Facebook fans 115,007. Twitter followers 18,231. About Blog Leftlane is the leading source for automotive industry and vehicle news, new car research, future vehicle information, and reviews. Read by car shoppers, driving enthusiasts, autoworkers, executives, and investors, the website is updated throughout the day with the very latest auto news - as it happens. Facebook fans 376,280. Twitter followers 23,830. Los Angeles, CA About Blog Sub5Zero is dedicated to cars that go fast. We cover stock OEM cars including those that are electric, hybrid and high-performance as well as factory tuned models from motorsport divisions. Facebook fans 255,924. Twitter followers 3,264. About Blog Automotive News is the leading source of news about the global automotive industry. The auto industry's leading business publication - award-winning coverage from boardroom to showroom. Facebook fans 38,344. Twitter followers 190,842. About Blog Aspiring to be the world's best provider of auto news, spyshots, renderings & scoops. Follow us and don't miss another update on your favorite car! Facebook fans 67,441. Twitter followers 18,277. About Blog TopSpeed offers the latest in the automotive industry for any car enthusiast to enjoy. Stay up to date with our car news section, where you can find out the latest facts about your favorite brands. Heard about any convention? Our experts cover the latest international auto shows with fresh pictures so you don't have to be there! Facebook fans 124,076. Twitter followers 9,582. About Blog CarComplaints.com is a completely free website that uses graphs to show where car trouble spots are, based on complaints submitted directly to our website straight from other car owners. Visitors can find useful information about each reported car problem, such as the most common solutions, average cost to fix, average mileage at failure, & read individual stories from other owners. Facebook fans 21,643. Twitter followers 4,322. Facebook fans 7,388,913. Twitter followers 4,858,637. About Blog The Truth About Cars is dedicated to providing candid, unbiased automobile reviews and the latest in auto industry news. Blog with automotive news, new and classic road tests, editorials, automotive help and product reviews. Facebook fans 53,107. Twitter followers 31,673. About Blog Car and Driver is the worldwide leader in providing objective test results and expert vehicle reviews. Follow us for the latest automotive reviews and news! Facebook fans 2,332,233. Twitter followers 1,018,442. About Blog Popular Science magazine has been a leading source of science and technology news. This blog is all about cars. Facebook fans 3,536,896. Twitter followers 1,261,280. Singapore About Blog From luxury yachts and luxury or exotic cars to the most expensive gadgets, LUXUO covers every aspect of a luxurious lifestyle. Facebook fans 335,730. Twitter followers 112,975. About Blog An automotive webzine with daily updates on new and future vehicles, motor shows, the tuning industry, classic cars and more. Facebook fans 841,624. Twitter followers 35,937. About Blog Auto Parts Warehouse is a leading online retailer of auto parts and accessories, offering a vast selection of over 2 million parts for cars and trucks, all sold at wholesale prices. Facebook fans 181,065. Twitter followers 4,135. ENGLAND About Blog The UK's fairest car buyer and yes we buy any car so if your thinking how can I sell my car or who will buy my car, get your instant cash for cars offer today. Facebook fans 1,213. Twitter followers 416. About Blog The 2020 New SUV blog is a new blog about all new and upcoming SUV models. Find out prices and release date of the any future SUV. Facebook fans 2,295. Twitter followers n/a. About Blog Autoweek is a grouping of platforms dedicated to the car enthusiast. With a fortnightly print magazine, up-to-the-minute website, and interactive iPad and iPhone apps, the Autoweek brand is synonymous with automotive passion. Facebook fans 77,666. Twitter followers 154,660. About Blog Jalopnik is a news and opinion website about cars, the automotive industry, racing, transportation, airplanes, technology, motorcycles and much more. We aim to cover these things with an honesty, transparency and cheerful belligerence that can’t be found anywhere else. Facebook fans 407,710. Twitter followers 287,882. Philippines About Blog Carmudi Insider is THE online Car Magazine for the latest Car News in the Philippines. Subscribe for the latest Trends, Reviews, Special Features about cars! Facebook fans 1,828,052. Twitter followers 495. About Blog We blog about the cars, products and lifestyle associated with the Porsche brand. Facebook fans 56,418. Twitter followers 6,375. Global About Blog Observations and insights from our global automotive industry experts. Facebook fans 9,700. Twitter followers 22,519. About Blog Auto alternatives for the 21st century. Provides consumers and car enthusiast with the most up-to-date information about functional fuel-sipping cars--as well as info about cars, energy, and the environment. Facebook fans 8,463. Twitter followers 2,462. Boston, MA About Blog Find the latest automotive news and original data-driven studies and analyses of used car and new car sales, trends and consumer behavior. Facebook fans 17,385. Twitter followers 11,330. Mississauga, Ontario About Blog Whether you're buying or selling an auto, Winfooz gives you unrivalled insight, choice and reach, thanks to the intelligence of online technology. Our blog site aims to keep you abreast of industry news as well as compiling together interesting tips and tricks for bringing your dealership into the digital revolution. Facebook fans 157. Twitter followers 52. About Blog The definitive grassroots source of real-time news, information, and discussion about the Chevy Volt electric car and related topics. Facebook fans 3,448. Twitter followers 14,737. Union City, CA About Blog Automotive Spaces provide best information in Car Detailing, Car Tips, Guide & Reviews to help eveybody take care of their car perfectly. Facebook fans 113. Twitter followers 21. About Blog The blog is your guide to the amazing world of cars. With over 10 years of experience in the automotive dealership industry, I am well prepared when it comes to writing about car models, car components, safety tips, vehicle fun facts and tips on selling or buying vehicles. About Blog Follow all the news of the automobile on autophare.com, a panoply of information relating to the field of the automobile. Facebook fans 546. Twitter followers 16. About Blog TrendingMotor.com is an Automotive News magazine site. Trending Motor shares new upcoming cars in India, aviation news, new bikes in India, and watercraft. Facebook fans 47. Twitter followers 18. About Blog Driveo is a cool way to instantly sell or trade in your car for more money. Our online based process is very simple. It only takes a few minutes to tell us about your car with our easy online form and receive a quote from us. Everything you need to know about how to sell your car for more money or trade it in to a dealer and avoid common mistakes and risks along the way! Tampa, Florida About Blog CorvetteBlogger.com covers all generations of the Chevrolet Corvette including C7 news, spy photos, Corvette ZR1 videos, auctions, prices and Corvette Racing. Facebook fans 72,231. Twitter followers 16,734. About Blog Find out what your favorite celebrity is driving at Celebrity Cars blog. Facebook fans 7,536. Twitter followers 21,135. About Blog Consumer Guide Automotive is the leading online consumer-focused, trusted resource for authoritative and objective reports on new and used vehicles. Facebook fans 7,596. Twitter followers 18,552. About Blog The auto blog written by enthusiasts, for enthusiasts. Facebook fans 13,948. Twitter followers 10,947. USA About Blog The Car Care Council is a non-profit organization dedicated to educating motorists about the importance of regular vehicle care, maintenance and repair through its “Be Car Care Aware” consumer education campaign. Facebook fans 57,772. Twitter followers 6,993. About Blog If you are a car lover or just getting into really taking care of your ride, you've come to the right place. We truly believe your car is a reflection of self, so we try to make sure you have the tools and information to keep your car in top condition- which, in turn, makes you feel great and look awesome! USA About Blog MercedesBlog means Mercedes secret projects revealed, AMG stories, Smart adventures and mid'n'havy drive tests. Facebook fans 34,234. Twitter followers 50. About Blog Welcome to The Korean Car Blog, all about the Korean carmakers Hyundai & Kia. Spy-shots, reviews, news, interviews and more. Facebook fans 29,404. Twitter followers 1,269. About Blog ColumnM is an online daily that brings you the most unique, exciting and exclusive automotive content from around the world. Facebook fans 13,483. Twitter followers 680. About Blog ElectricCarCommunity.com is on online Q&A service for Electric Car Drivers. Facebook fans 24,162. Twitter followers 11,860. Chicago About Blog WWW.BMWCOOP.COM is the most important BMW news blog that offers the latest information about BMW cars, such as articles, news, reviews, photos, videos and much more. The blog is dedicated to BMW fans and is one of the most widely read and appreciated BMW blogs around the world providing the most important BMW news daily. Follow this blog to get up-to-date news, reviews and articles on BMW cars. Facebook fans 11,499. Twitter followers 345. London, England About Blog In car Music UK online store located at London, Ilford, Romford offer a wide range of car stereos, car audio, speakers, In Car sound system, In Car music system and car entertainment systems at low cost. All products are from leading brand. Facebook fans 259. Twitter followers 213. About Blog British Sports Cars specializes in the sale, service, repair and restoration of all makes of classic and late model British, European and American automobiles. Facebook fans 56,191. Twitter followers 1,059. About Blog Use Exotic, Luxury Car List to search New & Used Exotic, Luxury Cars for sale. Research Exotic, Luxury Car Prices, Reviews and Comparisons from trusted Car Dealers and Enthusiasts. Facebook fans 26,093. Twitter followers 30,899. About Blog The Blog for Auto DIY'ers from Advance Auto Parts. Advance Auto Parts is a leader in the automotive aftermarket industry, with parts for most all vehicles, repairs, maintenance jobs and projects, plus a variety of free services. Facebook fans 1,713,939. Twitter followers 37,201. Dallas, TX About Blog Road Loans is a direct lender for car loans and auto refinance. They specialize in financing new and used car loans for customers with all types of credit. Facebook fans n/a. Twitter followers 4,708. Facebook fans 308. Twitter followers 4,145. About Blog Concept Carz is the premier website for auto enthusiasts seeking vehicle information from concept to production and from vintage to modern. You will find in-depth articles, news, reviews, high-quality photography, and desktop wallpaper. Facebook fans 7,476. Twitter followers 382. About Blog Keep up with Cruise, Car Meet, Car show fro Caruzin.com. Facebook fans 1,366. Twitter followers 12. About Blog A blog about environmentally responsible and sustainable racing, motorsports, and car conversions, as well as "standard stuff" like auto industry news and the latest in hybrid and EV innovation. Facebook fans 3,223. Twitter followers 4,004. Nationwide, via Cambridge MA About Blog Openbay is an award-winning online application giving customers a smarter way to care for their vehicles, by allowing them to compare, book, and pay for local auto repair. Facebook fans 1,171. Twitter followers 1,629. About Blog Automotive News website with the latest car news, pictures, videos, spyshots, reviews, guides and auto show coverage. Facebook fans 7,981. Twitter followers 642. About Blog Passionate tracking of U.S. and Canadian automotive sales data. Facebook fans 307. Twitter followers 1,776. Chicago, IL About Blog Dr. Beasley’s is made up of a dedicated team of chemists, detailers, and car lovers. We’ve developed our product line to be the best for you and your vehicle. We offer detailing knowledge for car enthusiasts and do-it-yourselfers with our unique 3-step process (Clean, Prep, Protect). Facebook fans 4,731. Twitter followers 1,949. London About Blog Motor Trader Magazine covers all the latest automotive news including reviews, events & awards for car dealers, manufacturers & industry specialists. Facebook fans 1,012. Twitter followers 15,532. About Blog Your Ride, Our Passion, Your Automoblog - A community of gearheads and online magazine of car news, reviews, photos, videos, editorials, and much more. Facebook fans 2,671. Twitter followers 1,743. About Blog The Car Expert provides independent, impartial advice to help you buy a new or used car. We also keep you up to speed with the latest automotive news. Facebook fans 385. Twitter followers 1,978. About Blog The Voice of the Automotive World! Facebook fans n/a. Twitter followers 1,427. About Blog Autoextremist.com - an Internet magazine devoted to news, commentary and analysis of the auto industry. Facebook fans 1,227. Twitter followers 5,554. India About Blog CarWaar.in is Auto portal Offering 360 Degree information about Cars in India. Facebook fans 59,825. Twitter followers 12. About Blog CashForCars.com is the easiest way to sell a used or damaged vehicle, and we're backed by over 30 years of experience in the car business. Facebook fans 4,096. Twitter followers 1,506. About Blog KIA-WORLD blog, the world's largest Kia car enthusiast community! Providing exclusive Kia news from everywhere around the world! Facebook fans 1,610. Twitter followers 76. About Blog AutomotiveAddicts.com is your ultimate authority for all popular automotive news, reviews and car shows in the state of Florida. AutomotiveAddicts.com is The Automotive Site that combines exclusive auto reviews and test drives with interactive automotive industry news covering all of the GOOD stuff in the surrounding Florida area. Facebook fans 6,359. Twitter followers 7,121. About Blog A website featuring a comprehensive collection of emblems, car company histories, logos, reviews of typographical & graphical applications, design features and just about anything that is car related. Facebook fans 1,730. Twitter followers 775. About Blog Best Selling Cars Blog is the No.1 online destination for world car sales statistics. Facebook fans 538. Twitter followers 454. About Blog KnowYourParts is a campaign started by the Automotive Aftermarket Suppliers Association (AASA) with a goal of sharing the importance of using quality parts. The Know Your Parts supports auto technicians with tips on car troubleshooting, auto diagnosis, car parts information and general repair advice. Facebook fans 929. Twitter followers 437. Brands Hatch, UK About Blog The UK's Favourite Online Car Care, Repair & Car Detailing Superstore. Facebook fans 13,799. Twitter followers 4,899. Santa Clara, CA About Blog This is official NVIDIA Blog providing the latest news on technologies related to automobiles. Facebook fans 2,241,244. Twitter followers 1,380,249. About Blog A blog about car repair and vehicle maintenance. Charles is a Master Certified Volkswagen Mechanic giving you the honest word about VWs, and life as a dealership mechanic. Facebook fans 82,033. Twitter followers 4,497. Dallas, TX About Blog New and Used Car Reviews | Buying Tips and Tricks | Up-to-Date Model Guides. Unique car buying advice and automotive entertainment. Facebook fans 19. Twitter followers 13. About Blog Latest Mercedes-Benz news, reviews and rumors. Facebook fans 52. Twitter followers 2,535. About Blog Free classic car restoration videos. Learn classic car maintenance & repair tips from the experts. We'll help you get your project car back on the road. Facebook fans 113,708. Twitter followers 278. South Africa About Blog A South African automotive website with daily updates, pictures and videos on exotic cars, luxury cars, motor shows and more. Facebook fans 19,907. Twitter followers 7,075. About Blog Anything happening in the Motorsports industry, Moto Networks is your #1 source for anything and everything with a motor. Facebook fans 49,754. Twitter followers 156. About Blog Get the latest car and motorcyle news at Motorlogy. Facebook fans n/a. Twitter followers 42,800. About Blog Clean Fleet Report chronicles our transition to a new world of choice in cars and trucks. Reports detail new cars including hybrids, plug-in hybrids, and electric vehicles. Also covered is news of the auto industry and relevant events. Facebook fans 434. Twitter followers 3,346. USA About Blog Fiat 500 USA is the unofficial blog of the Fiat 500. This blog keeps people up to date on the latest Fiat 500 news in the USA. Its run by Chris, a long time Italian car owner and enthusiast. Facebook fans 5,136. Twitter followers 1,221. About Blog It's all about supercars and high octane motoring. We bring you latest from the world of high end exotics and luxury cars. Facebook fans 21,912. Twitter followers 1,171. Japan About Blog Get the latest news on Japanese vehicles, import regulations of various countries, detailed car comparisons and all the information you need to keep your vehicles in good shape. A leading Japanese used cars exporter providing wide range of used vehicle to buy directly from Japan. Get Luxury Japanese second hand cars for sale online. Facebook fans 1,390. Twitter followers 1,077. About Blog Exploring, hence featuring new car reviews, latest automotive industry's news and listing tons of useful autos guides at AutosReign. Facebook fans 398. Twitter followers 722. About Blog We are surfing the web to bring you the latest news about cars, especially technical specifications, reviews, drive tests, pictures, tuning, etc. Facebook fans 600. Twitter followers 53. About Blog Hydrogen Cars Now reviews fuel cell vehicles, cars that burn H2 inside internal combustion engines, refueling stations and the building of worldwide infrastructure. Facebook fans 2,252. Twitter followers 3,918. About Blog The Garage: Your daily dose of automotive news, reviews and motorsports coverage. Facebook fans 1,214. Twitter followers 5,087. About Blog Automotive Industry News and New Car Reviews. Provides vehicle buyers and sellers with the new and used vehicle information they need to accomplish their goals with confidence! About Blog Auto Module Source intends to be the dominant supplier of vehicle computer modules by offering our retail customers and professional installers the best combination of price and quality. Our plan for growth is to deliver automotive products that provide our customers with the opportunity to enhance their competitive selling advantage within the automotive market. About Blog Everyone at Eric’s Muscle Cars has a real passion for muscle cars and this is where we share that passion. Here you’ll find all kinds of interesting articles on Muscle Cars, Muscle Car Events, History of Muscle Cars, and much more! We are constantly working to provide the most interesting content for our readers so be sure to check back each day for interesting muscle car tips, news etc. Facebook fans 124,990. Twitter followers 20,182. About Blog MyCarHeaven is dedicated to showcasing, talking about, reviewing the most beautiful, cool, iconic and desirable cars and supercars. If you are reading this, you should either own or desire a beautiful car, due to beautiful looks, superb engineering, prestige of ownership or another personal reason. MyCarHeaven is where you can find information about the cars and associated cool stuff. Facebook fans 852. Twitter followers 2,037. Facebook fans 834. Twitter followers 45. About Blog Subcompact Culture is all about small cars. This includes subcompacts, compacts, micro cars, and more. Heck, even some vehicles that are a bit bigger. From news and reviews to cars shows and project vehicles: Subcompact is the small car blog. Facebook fans 4,729. Twitter followers 1,709. Yorkshire, UK About Blog is a place for Land Rover enthusiasts to gather as a community and discuss the best 4x4 vehicles ever produced. We're building a library of high quality resources & articles to help owners along in their Land Rover ownership. Facebook fans 4,938. Twitter followers 2,751. Plano, Texas About Blog Boardwalk Ferrari is among the top performance-oriented dealers in the famed Italian automaker's North American fold. Facebook fans 4,338. Twitter followers 877. San Diego, CA About Blog Auto City in El Cajon has a wide selection of new and pre-owned cars, trucks and SUVs. Read our blog for current news and deals. Facebook fans 2,978. Twitter followers 995. Facebook fans 624. Twitter followers 32. About Blog Classic Nation is a classic car enthusiasts website featuring photos, event calendar, classifieds, forums, and more! Facebook fans n/a. Twitter followers 3,032. London, United Kingdom About Blog GreenMotor is a website about electric cars, hybrids and low-carbon motoring. Get Reviews, news and opinion about low-CO2 cars, electric cars and hybrids in the UK. Facebook fans 53. Twitter followers 222. Honduras About Blog This site will provide information about cars and bikes in India. Get All latest updates regarding automotives in India. Facebook fans 5,824. Twitter followers n/a. About Blog Featuring the latest auto news car reviews, user reviews and videos from around the web. Facebook fans 21. Twitter followers 1,772. Dubai About Blog Car Reviews Test Drives UAE Dubai Abu Dhabi Deals Comparisons Motor Shows. Facebook fans 36,388. Twitter followers 18. About Blog Keep up with Information About All Kinds Of Autos Imported And Domestic. About Blog The Bentley blog and forum for enthusiasts of Bentley Motors. Covering Bentley Continental GT, Bentayga, Flying Spur, Mulsanne plus new models and rumors. Facebook fans 3,029. Twitter followers 326. About Blog Motorator.com is a community dedicated to performance automotive consumers, manufacturers, installers and dealers. Facebook fans 5,418. Twitter followers 6,818. About Blog A blog for women about motoring. Facebook fans n/a. Twitter followers 4,588. About Blog Changing Lanes is an independent Irish car blog. Car reviews, car news, features and car humour for Ireland. Fun, honest and friendly - come check us out! Facebook fans 426. Twitter followers 1,188. About Blog Get all the newest automotive related articles to solve all kind of car problems. You will learn how to repair your car the best and cheapest way. Facebook fans 12. Twitter followers 1. Montréal, Québec About Blog Information, luxury car reviews and news. Regular updates on luxury cars. The top cars, prestige cars and luxury cars best reference. Chappaqua, NY About Blog Hi, I’m Rob. I’m a brand new Corvette owner and 1st-time blogger. I was born in Brooklyn, NY and moved to Staten Island, NY. What I hope to accomplish here is giving you an inside look into me living, learning, and loving the Vette Life – through blog entries, interesting articles, and an interactive forum. UK About Blog Take to the Road is the home for classic car films. We capture the story and the passion behind each car. And we share daily photos of all the classics we come across. If you love classic cars then this is the page for. Facebook fans 2,869. Twitter followers 2,016. About Blog The number one motive of this website online is to share our understanding approximately 2018 Auto review for your car buying experiences, such a assessment, launch date, specs and price. Pennsylvania, USA About Blog Welcome to Auto Enthusiasts Newsblaster, an industry news, features, and news aggregation site created by and for car guys, car gals, and general automobile enthusiasts everywhere. Our goal is to provide information that enhances your experience of all things automobile, whether it's your daily driving, tracking, restoration, or general awareness of the automotive industry and hobby. Facebook fans 32. Twitter followers 257. About Blog CAR Foni news CAR Brand actual Audi, BMW, Toyota, Volvo, Volkswagen, Range Rover,CAR Center Platform. Facebook fans 67. Twitter followers 27. About Blog The Vehicle Hub focuses on news about cars,supercars,boats, bikes, planes and travel. Delivering latest releases and vehicle reviews. About Blog Motoring-Malaysia.blogspot.my is an award winning Malaysian motoring / automotive / car news & reviews website or auto blog. It is where we rant and rave about cars, trucks, buses, motoring, motor vehicles and any interesting automotive industry related stuff. Unswayed in our point of view and darn proud of it! It's not about the numbers...it's about passion. Since 2006 and going strong. Facebook fans 1,054. Twitter followers n/a. About Blog AutocarHindi is India’s largest integrated platform For Automotive news. We brings you latest car news, bike news and reviews in Hindi language. Facebook fans 940. Twitter followers 1,690. United States About Blog PurosAutos, we are the number one site of Autos en Español in the United States, dedicated to the latest News, Test Cars and News of the sector. Facebook fans 146,583. Twitter followers 109. Leicester, England About Blog UK Car Scene is an automotive lifestyle blog, bringing you the latest car news, reviews and show coverage from the UK. Facebook fans 18,302. Twitter followers 129. About Blog A brand built upon the everlasting passion for vehicular excellence. Embrace the art of transforming a plain vehicle into a true statement of distinction. From polishing your vehicle into diamond like brilliance, to protecting that brilliance via our paint sealant, coating or transparent film applications, Autologic Salon is ready to deliver. About Blog Welcome to the home of the Car Guy! Your source for everything automotive - including the latest Car news, Car Articles, Infographics and great Car Content. Facebook fans 1,615. Twitter followers n/a. About Blog GlassWorks Auto Glass is the leader in auto glass repair and replacement in Tulsa. No crack is too big or too small for our auto glass technicians to repair. About Blog Renner Auto is celebrating the high point of automotive design, the period between 1950 and 1970, through the construction of new cars that pay tribute to the styling of that period. These vehicles possess the styling that make them an instantly recognisable classic but with a modern chassis, engine and electrical system they are viable as a comfortable a daily driver. About Blog Visit our car blog to find out what is going on in the automotive world. From the family vehicles to supercars and classics. About Blog Automotive website with a broad topic covering the new cars review, car news and top car list. Blog provides a lot for the Fans of old classic cars or seeking for new car reviews. Facebook fans 1,014. Twitter followers 206. Brisbane, Queensland About Blog Get the clear knowledge about the ins and outs of cash for car services around Queensland with the variety of our Blogs. About - The official Motor Trend magazine web site featuring the latest new cars, car reviews and news, concept cars and auto show coverage, awards, and much more. About - BMWBLOG delivers news to millions of people from around the world, creating one of the largest communities of BMW drivers. Follow this blog and get the Ultimate BMW News, Reviews, Test Drives and Videos. About - ClassicCars.com is the world's largest marketplace devoted to classic and collector vehicles. About- Autocar is the first ever motoring magazine and is the global expert for frontline car news, reviews and opinions. From Ferraris and Lamborghinis through to the latest electric and hydrogen-powered superminis, Autocar is obsessed with cars and the industry that makes them. No other magazine covers the subject you love with such enthusiasm, insight and quality every week of the year. About - Voted the UK number one car blog. Straightforward, to the point, car news, car reviews, motorsport and motoring events. Bringing you all you need to know, without the extra padding. About - Honest John has been answering car buyers’ questions for over 15 years. Visitors to the site can find helpful advice on any motoring related subject and submit a question to Honest John and his panel of experts, for free. About - Car Throttle was started in 2009 after founder Adnan Ebrahim realised there was no online platform for people like him: young, millennial car enthusiasts. Dubbed ‘Buzzfeed for cars’, the site quickly evolved into a vibrant community serving millions of users - called CTzens - who follow the brand on its apps and major social media platforms. About - The latest automotive news, new and used car reviews, auto show info and car prices in Canada. Get news, photos, videos, tips and advice on how to maintain your car. About - Car reviews, comparisons and news by award winning Canadian journalists. The go-to resource for car shopping information to help you make an informed decision. About - Auto Related News, Financial Tips, Vehicle Spotlights, Reviews and More. We also offer Same Day Auto Loan Approvals for Bad Credit. About - Your #1 source for automotive edutainment! Through tips and tricks, need to knows, and fun videos we give you all the info you need for your car, truck, or SUV while cutting through all the auto jargon you hate and/or don't understand. About - Get the latest automotive news: car reviews & comparisons, car maintenance & driving tips from Wheels.ca. Compare new car prices & search cars for sale. About - AutoTalk Website is all about News for Australian Automotive Dealers. About - Every new car. Every last detail. Australia's most comprehensive source of car reviews, car news, videos, comparisons, specifications and ratings. About - Search new and used cars, and get expert advice to make the right choice on your next vehicle from the team at The Motor Report. About - Save thousands off your next new car. How to negotiate with car dealers, choose the right car, automotive technology, reviews and and your questions answered by automotive expert John Cadogan. About - For 60 years MOTOR has been the Australian bible for lovers of performance cars and driving. We're about fast cars – brand new or tuned. Fords to Ferraris, Toyotas to Lamborghinis, we'll cover anything with a performance bent. MOTOR plugs you into the driver's seat with arresting photography, great writing and bewitching video. About - Hi, I’m Shrawan, an automobile engineer based in Chennai and the founder of IndianAutosBlog.com. When I began the website in 2008, my ambition was to educate Indians in knowing what was happening to our cars abroad. In my agenda were also foreigners, who wanted to know the Indian automotive scene, as it has gained a wide reputation for being the most interesting market in the world. About - Car Blog India brings the latest car and bike news, best test-drive reviews, pictures, prices, features, mileage and specs of upcoming new cars and motorcycles. About - The India Auto blog at DriveInside.com covers the latest happening in the India car and bike industry. About - All the automotive news on the planet. Minus the jargon! 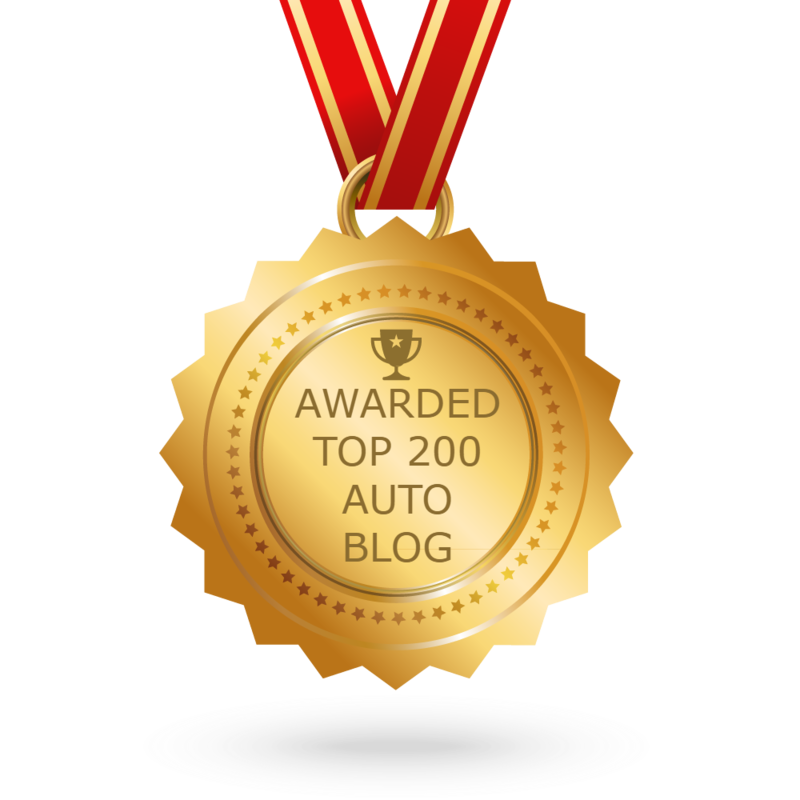 CONGRATULATIONS to every blogger that has made this Top Automobile blogs list! This is the most comprehensive list of best Auto blogs on the internet and I’m honoured to have you as part of this! I personally give you a high-five and want to thank you for your contribution to this world.